The Jehovah’s Witnesses! Who among us hasn’t had these nice looking people come to our front doorstep and try to convert us to their sect? While their zeal is to admired for going door to door, their theology leaves much to be desired. They usually leave tracts from the Watchtower Society, their print shop. 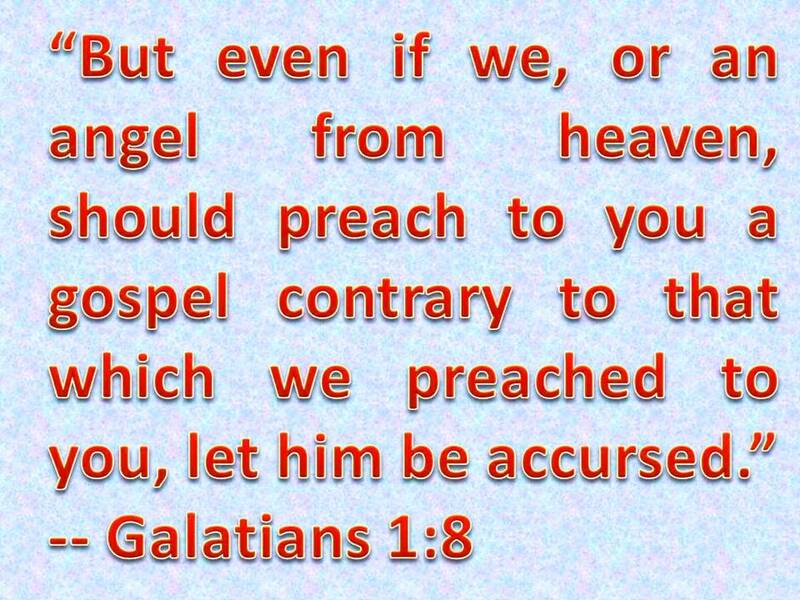 It all sounds good on the surface, but once you take a deeper look at to what they really believe, you will find that none of it holds up, either through Christian tradition or biblically. A Pittsburgh haberdasher (men’s clothing store owner) named Charles Taze Russell invented the sect known as the Jehovah’s Witnesses in 1879, at the age of 27 years old. He was raised in the Congregationalist denomination, but soon drifted into agnosticism, and then into the Adventist movement. When William Miller, the Adventist preacher, failed in his prediction that the world would end in 1843, and then said it would REALLY end in 1844, Russell, a high school dropout, decided to come up with his own personal brand of theology in 1879, and thus began the Watch Tower Society, now headquartered in Brooklyn, New York. (It should be noted that Russell was somewhat of a con-man, having sold a fraudulent cancer cure and “miracle” agricultural products which didn’t produce miraculous results. He was sued for doing these things). In order to support their peculiar beliefs, the Jehovah’s witnesses, invented their very own translation of the Bible, the New World Translation. It was written by 5 members of the JW’s, 4 of whom had NO background in biblical study. The fifth member had studied Greek for several years. What this means is that you and they will not be singing off of the same sheet of music biblically when they come to your front door! For instance, in the New World Translation, John 1 says that “the word was a god,” whereas other bibles say that “the word was God.” Mighty big difference there! For the record, the JW’s did again predict that Armageddon, the final battle on earth, would occur in 1975. When it didn’t, they went back to the drawing board and said that there had been yet another math error. Folks, this is NOT an infallible church guided by the Holy Spirit! So now that we know a little about the creator of this man-made tradition known as the Jehovah’s Witnesses, what exactly are Russell’s doctrines that are still believed today by his followers? 3. The Trinity doesn’t exist. 8. Only 144,000 people will get into heaven as spirits (the remaining faithful JW’s will remain on the new paradise earth in their resurrected bodies, and the unsaved will be totally destroyed (not sent to hell)). 10. They will not serve in the military, salute the flag, say the Pledge of Allegiance, or run for any office, as they recognize no government authority. 11. There are no priests, pastors, or rabbis (no clergy). 12. Jesus did not rise from the dead in a bodily resurrection. So let’s take a look at these one by one. Their JW New World Translation of the Bible says in Matthew 25:46: "And these will depart into everlasting cutting-off, but the righteous ones into everlasting life." The weird term “cutting off” buttresses their argument that the unsaved will be annihilated, but the real Bible says “And they will go away into eternal punishment, but the righteous into eternal life." And Revelation 14:11 tells us, "And the smoke of their torment goes up for ever and ever; and they have no rest, day or night, these worshipers of the beast and its image, and whoever receives the mark of its name." There are many other verses in the Bible which also mention hell and the everlasting fire prepared for the devil and his angels. This is nothing more than creative editing of the Greek text by their non-biblical text writers to make the bible conform with their own peculiar views. This calculating when Jesus will return thing seems to be a characteristic of these false shamans. No one knows when Jesus will return, from Matthew 24:36: “But of that day and hour no one knows, not even the angels of heaven, nor the Son, but the Father only." So when this event failed to take place, the JW’s changed it to read that Armageddon will take place in the lifetime of those living in 1914. Well, guess what, most, if not all of those people alive in 1914 are dead. 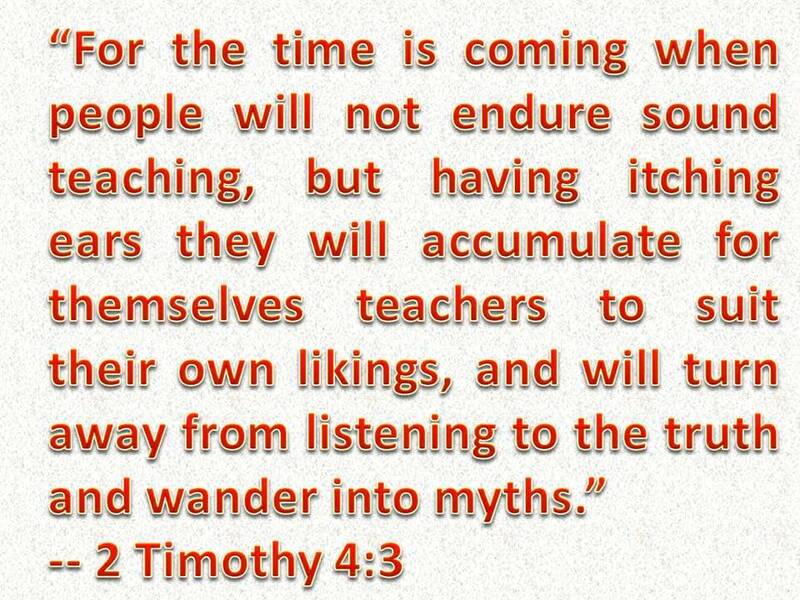 This predicting of the second coming is a sure sign that these people don’t know their own bible. And for sure, it didn't happen in 1975 either. The Jehovah’s witnesses get this literal 144,000 number from Revelation 7 and Revelation 14, where it is a symbolic number (12 Tribes of Israel x 12 Apostles x 1000), which indicates that there will be both Old Testament AND New Testament people in heaven, and lots of them. According to scripture, a literal reading of Revelation 7 and 14 would indicate that these are all male Jewish virgins, which, by the JW standards, would mean that the Blessed Virgin Mary is not in heaven, nor is the married Peter, nor is any gentile, like the Jehovah’s Witnesses! There is no biblical mention of “embodied spirit people” remaining on earth who don’t get annihilated either. The JWs get this from Psalm 37:29 which speaks about the just inheriting the land forever, which is about the Old Testament promised land of Israel, not the New Testament Promised land of Heaven. And in Revelation 21:27, we read that the unsaved are thrown into the pool of fire, which pretty much nukes the annihilation theory as well. An additional heresy of the JWs is that only those who lived at or after the time of Jesus get into heaven! But the astute Bible scholar knows about Matthew 8:11-12, which talks about everyone reclining in heaven at the table of the Lord WITH the Old Testament persons of Abraham, Isaac, and Jacob. And as for remaining on earth instead of heaven, we have 2 Corinthians 5:1: ”For we know that if the earthly tent we live in is destroyed, we have a building from God, a house not made with hands, eternal in the heavens." This heresy comes from the Old Testament prohibition of not drinking animal blood. But, wait for it….human blood transfusions are from humans! And an another important distinction here is that receiving a life-saving blood transfusion in your vein is NOT drinking blood, animal or human. The book of Leviticus, where this prohibition is to be found, does not apply to New Testament Christians. It was written by Moses after the Golden Calf incident as a new set of stricter laws for the Jews, on top of the 10 Commandments, which they seemed to have trouble obeying. In other words, God got stricter with them for their licentiousness. And the book of Leviticus also includes a prohibition against eating animal fat as well, so no ribeye steaks for the Jehovah’s Witnesses! This one is really off the wall. Their dogmatic statement says, "We deny that he was raised in the flesh, and challenge any statement to that effect as being unscriptural. Jesus’ fleshly body "was disposed of by Jehovah God, dissolved into its constitutive elements or atoms. In order to convince Thomas of who he was, he used a body with wound holes. He was raised as an invisible spirit creature, with no physical body......” But 1 Corinthians 15:7 says “If Christ has not been raised from the dead, your faith is in vain.” And there is the promise of Christ to the Pharisees that he would raise his temple (his body) in 3 days. And in Luke 24 Jesus says that it is really him after the resurrection, because a spirit doesn’t have flesh and bones. And there is NO scripture verse about God the Father disposing of Jesus’ body! This Jehovah’s Witness heresy can be easily disputed by anyone with a cursory knowledge of sacred scripture. This so-called religion is really a man-made cult invented by a con-artist, and no one who considers himself to be a Christian should have anything to do with it. It is recommended that you print out this webpage and keep it by your front door for a handy reference the next time they come by!